Bloomberg and the Wall Street Journal on Wednesday corrected contested reports that special counsel Robert Mueller had subpoenaed President Donald Trump's bank records. "Trump's Deutsche Bank records said to be subpoenaed by Mueller," read the headline to the original Bloomberg story published Tuesday. "Special prosecutor Robert Mueller zeroed in on President Donald Trump's business dealings with Deutsche Bank as his investigation into alleged Russian meddling in U.S. elections widens," read the lede. But after publication, Trump's lawyers said in a statement that the story was false. "We have confirmed that the news reports that the special counsel had subpoenaed financial records relating to the president are false," attorney Jay Sekulow said in a statement. A day later, the Bloomberg story and headline were updated only to claim that "Deutsche Bank Records Said to Be Subpoenaed by Mueller." "Several news outlets—including Bloomberg—reported yesterday that the subpoena targeted Trump and his family's bank records, which was disputed by Trump's personal lawyer and the White House," the new Bloomberg story acknowledges. At the bottom of the story is a small correction: "Corrects story published Dec. 5 that said Mueller ‘zeroed in' on Trump's business dealings." 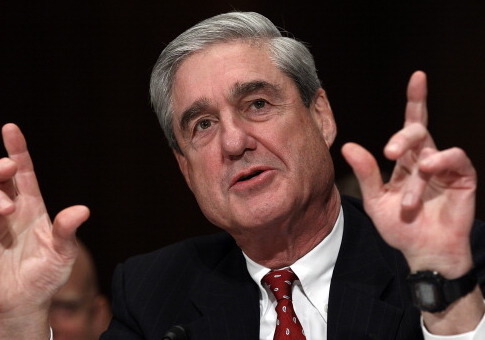 The Wall Street Journal likewise initially reported, "Trump's Deutsche Bank Records Subpoenaed by Mueller," before updating its headline to, "Mueller Subpoenas Deutsche Bank Records Related to Trump." "An earlier subheadline said a subpoena from special counsel Robert Mueller's office requested data and documents about President Trump's accounts," a correction reads. "The subpoena concerns people or entities close to Mr. Trump." This entry was posted in Issues and tagged Bloomberg, Donald Trump, Robert Mueller, Russia, Wall Street Journal. Bookmark the permalink.